Let your mind take a vacation! You have been stressed all year, and it’s time for you to escape your everyday worries. Explore nature like never before on the best hiking trails in Connecticut! There’s nothing like walking through the woods and reconnecting with yourself, with only the sound of the birds in your ear. Don’t delay; start planning your trip today and experience the five best hiking trails in Connecticut. Get familiar with more stunning hiking trails in Connecticut when you download our free Vacation Guide! You’ll find helpful travel tips and the best local recommendations in this guide. Learn about popular restaurants, quaint shops, fun events and attractions, outdoor adventures, and more! The sanctuary of Denison Pequotsepos Nature Center offers more than eight miles of hiking trails, all in a soothing and serene environment. Get a taste of the beauty of nature and spend the day discovering the local wildlife. The trails take you through many different habitats, and you can even stop at the Coogan Farm to learn more about Mystic, CT, history! Pachaug State Forest covers more than 26,477 acres and is considered the largest forest in Connecticut. “Pachaug” is derived from a Native American term, meaning “turn in the river.” Indeed, these state forest hiking trails wind along the Quinebaug River, meadows, and swamps. 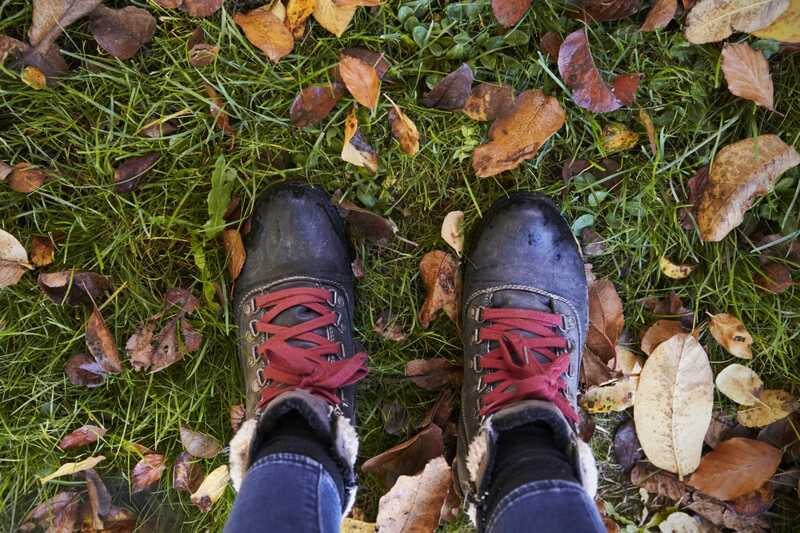 Spend a day exploring Pachaug’s trails and don’t forget to wear good shoes! Some parts can be very slippery, especially in the morning. Pequot Woods has more than 140 acres of wooded trails, ponds, bridges, and streams that make for a beautiful afternoon hike. You’ll find some moderately difficult trail portions, including some marshland. Soak in the breathtaking views as you roam through wildflower meadows and listen to the wild birds chirping in tree branches. 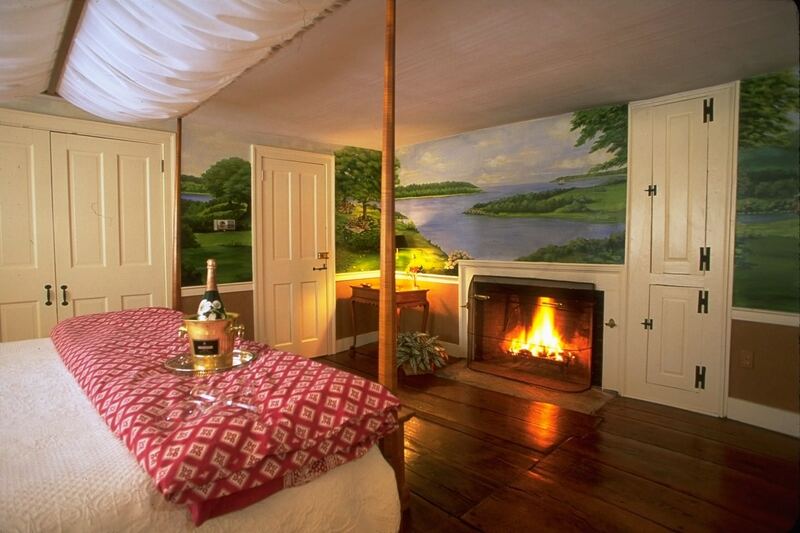 Pequot Woods is the perfect place for those who wish to unwind. Barn Island is Connecticut’s largest wildlife reserve. Witness an incredible variety of ecosystems as you hike on hills, open fields, forests, and wetlands. Barn Island is also the ideal place to take your children, with a moderate trail that has spectacular spots for bird watching! Bluff Point State Park is known for its stunning coastal walks. Hike through wooded peninsulas, lush forests, pebbled beaches, and the rocky shoreline on a scenic four-mile loop. Smell the salty air all around you as you pass under the tall trees and enjoy a glimpse of Bluff Point. Stand in front of the Atlantic Ocean and let the view cast away all your weariness. If you look close enough, you can see the New London Ledge Light in the distance! Spend the day hiking these stunning Connecticut trails and come home to a comfortable room at Stonecroft Country Inn. 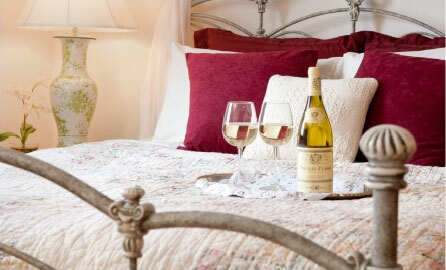 Enjoy our elegant accommodations with your significant other and rest in an authentic and comforting setting. Book our Stonecroft Room and take a long bath to relax all your muscles. 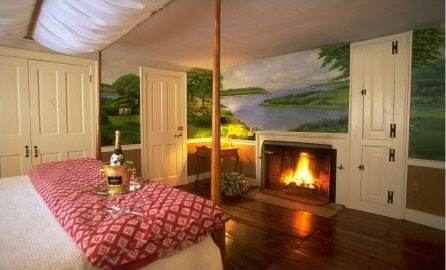 Nestle up by the fireplace with a glass of wine in hand, and travel back to the 19th-century with the gorgeous hand-painted mural. Get a good night’s sleep in the King feather bed and wake up the next morning to the sound of birds chirping in the garden. Start the day with our homemade breakfast and get ready for your next adventure! Book your stay today at Stonecroft Country Inn and enjoy an exciting weekend hiking in Connecticut!